Everyone who arrives to Dubai with an intention to stay, apart from the GCC region residents, needs to do visa runs from time to time. Medvedik was surprised that this rule applied to his humble person too, but the laws are for everyone, even polar bears. So he went to buy a ticket to the closest destination, which was Muscat, Oman, and went to Dubai International Airport, Terminal two to catch his plane. Airports are always fascinating. There are so many people. Many people meet, many people part. There are smiles and tears, laughter and sighs. But there are no many polar bears. 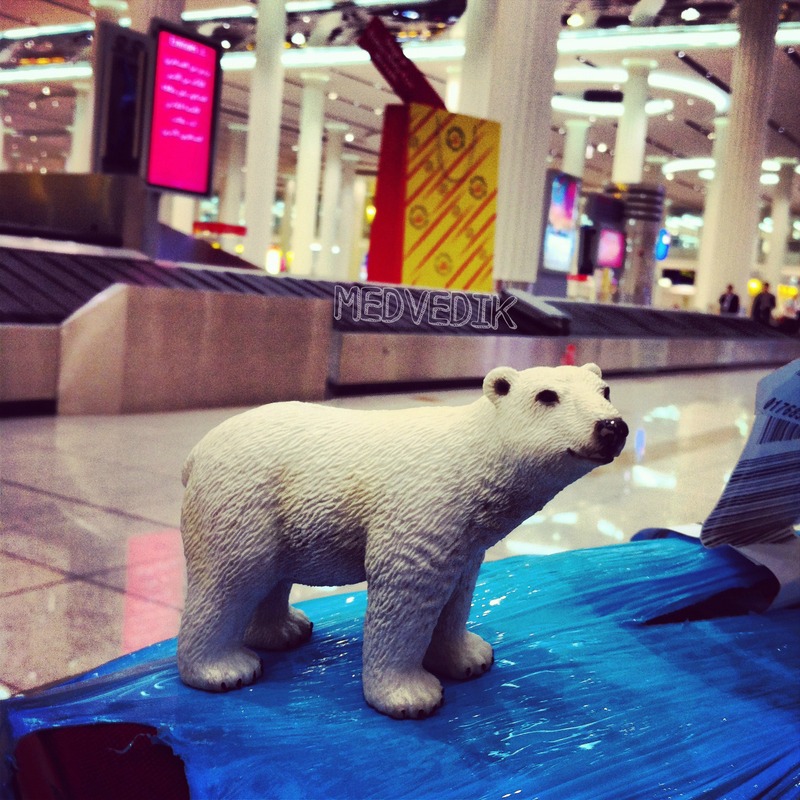 Medvedik thought that probably even in Oslo airport you would not see a lot of polar bears. It was late at night, so Medvedik was quite sleepy. He dropped by Costa Coffee to grab a cappuccino and kill some time. He took a seat next to some sportsman from Georgia,who was snoring very loudly. Medvedik was sipping his coffee, looking at all the people running around with their suitcases. The automatic voice was inviting random people to go to certain gates. 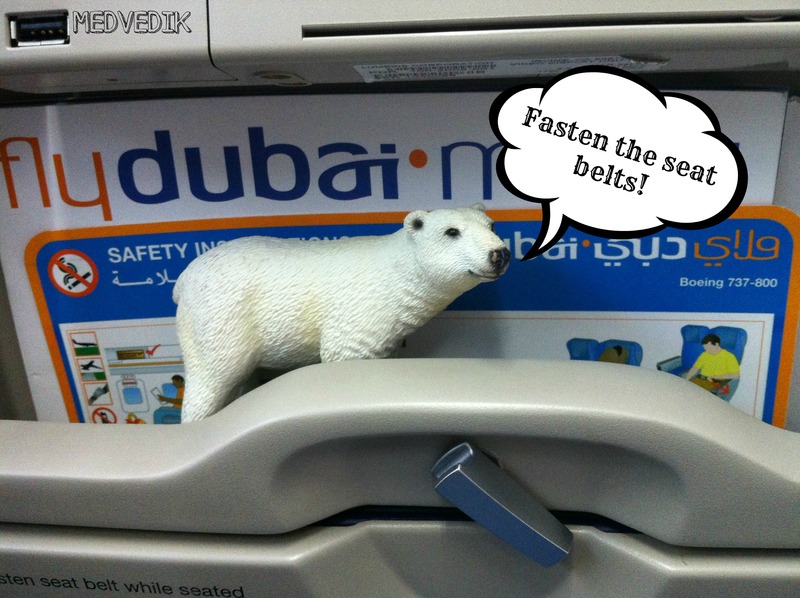 Suddenly he heard Mr Medvedik Polarbear invitation to a gate number 2. He rushed to the gate and jumped in the bus. 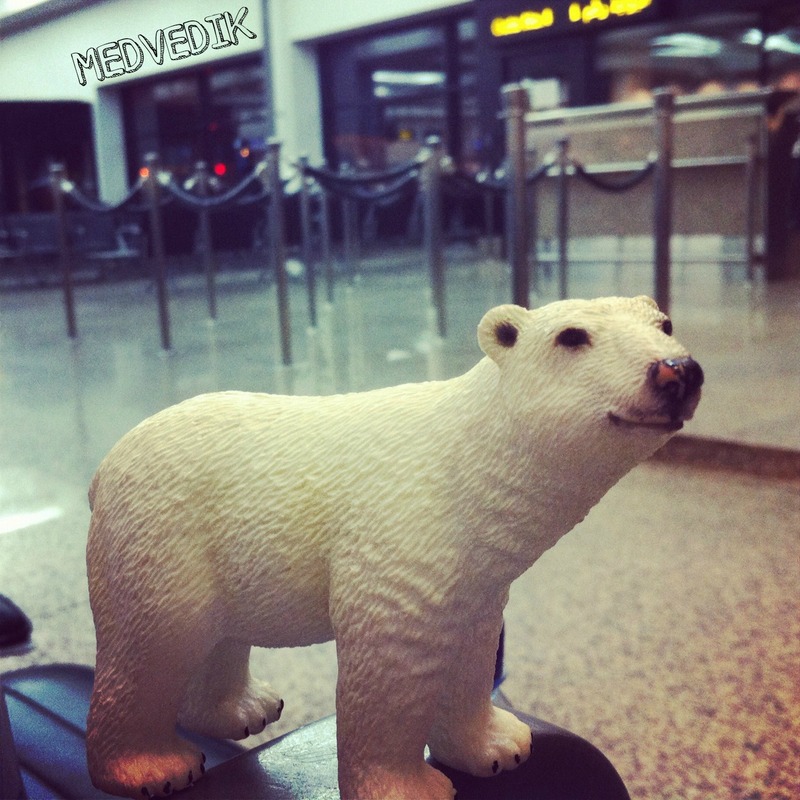 The plane was new and clean and that made Medvedik very happy. Of course he would be happier to make the whole trip by bicycle, but riding 250 kms by bicycle was not the easiest task to fulfill. Medvedik had no neighbours, so he could jump from one seat to another. He found it quite entertaining, but the stewardess came up to him and asked him to stay in one seat and fasten his seat belt because the plane was about to take off. 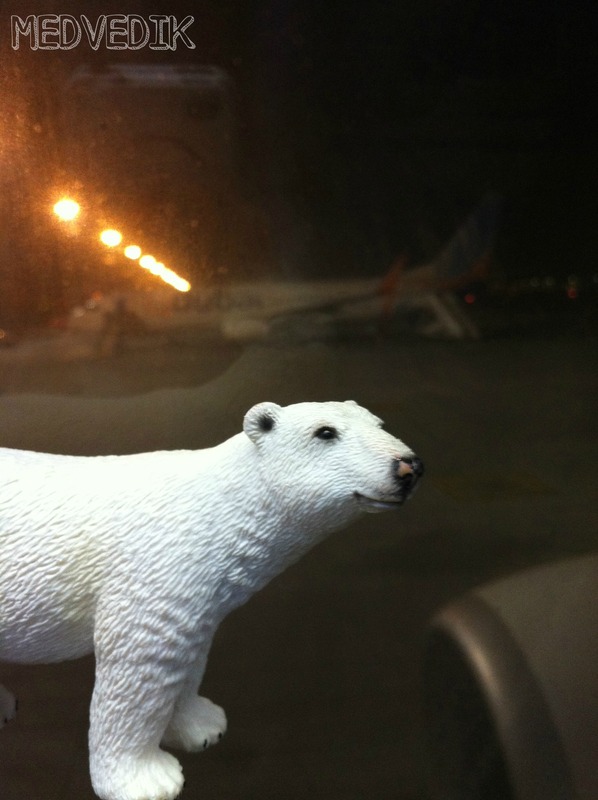 Medvedik chose the seat next to the window and looked out the window, observing the planes taking off and landing. Medvedik noticed that there were TV’s built in the seats in front. How cool, he thought. Then he watched a cartoon explaining how to behave on board, which he found quite hilarious, because it portrayed Arabic people in a very genuine way. After it finished, Medvedik realized that he actually can choose a program or a movie to watch. He picked a documentary about animal rescuers in Africa and dissolved into the prairies. His flight went fine. It took only fifteen minutes to get out of the plane and get back to the same plane. He was back to Dubai in 40 minutes. The same terminal, the same air. Tired, but happy that it’s over, he caught a taxi and went home. 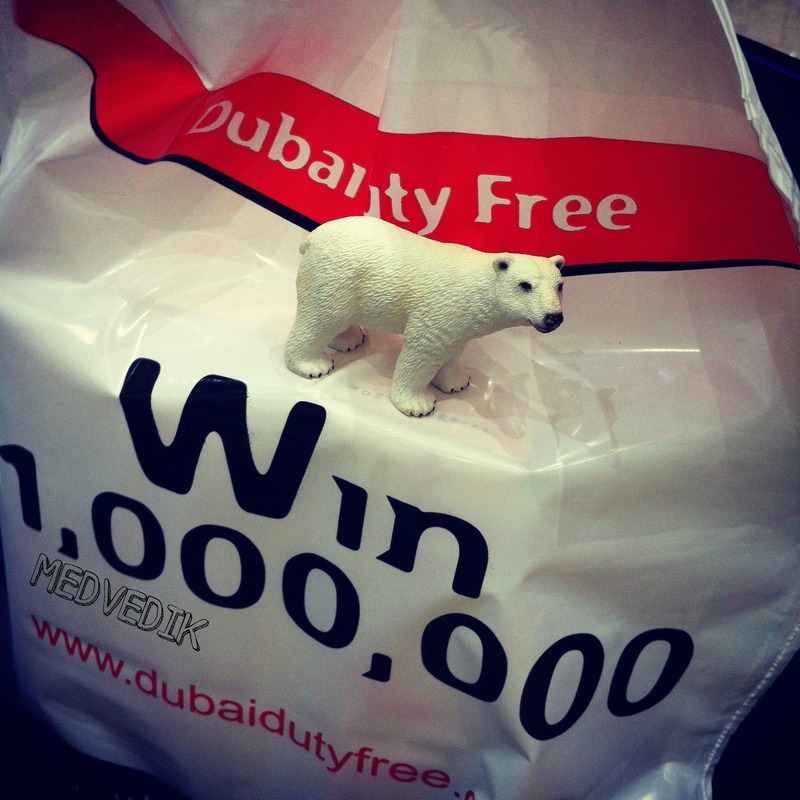 This entry was posted in Oman, Travelling and tagged bear, born to be wild, cappuccino, costa coffee, dubai, dubai international airport, duty free, fly, flydubai, gcc, oman, oslo airport, photography, plane, polar bear, seat belts, travel, traveling, travelling, visa run. Bookmark the permalink.